I used to think that dyslexia was just when people reversed letters in words when they were reading. I’m not sure how this misconception got so popular but it’s important to know that dyslexia is much more than that and that letter reversal is not even the most common characteristic of dyslexia. It’s also important to know that speech therapists can do a lot to help a student with dyslexia. The term dyslexia is used to describe a person’s difficulty reading printed words even though he/she has normal intelligence and received appropriate reading instruction. 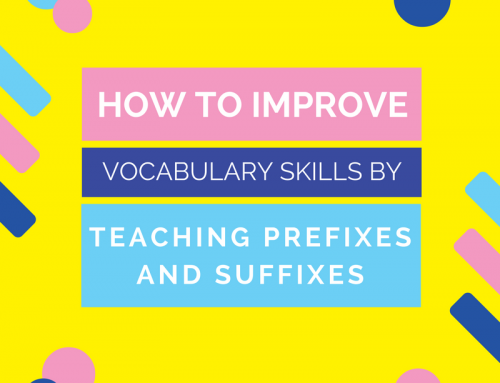 This word-reading difficulty is often caused by a deficit in the phonological component of language. That means, the student has difficulty understanding how sounds go together to create words. 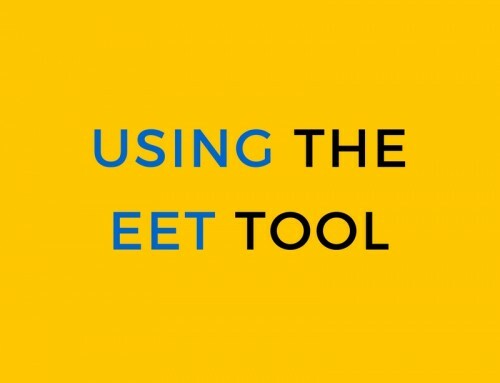 This makes it difficult for the student to decode a printed word (sound out the letters and put them together to form a word) as well as to spell words. Also, the student with dyslexia has average or above average intelligence so the disability is not due to lack of intelligence. 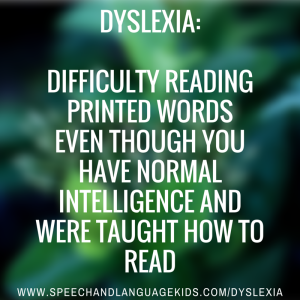 Since the child with dyslexia has difficulty reading printed words, he or she may also have difficulty understanding what was read, even if he does manage to eventually read the words. This is because fluent reading (or reading without unnecessary pauses and gaps) increases comprehension and understanding of what is read. You may notice that a child with dyslexia understands text when it is read out loud to him but he has trouble understanding it if he reads it himself. For example, the child would be able to answer comprehension questions about a grade-level story read aloud but not if he only read the story to himself. 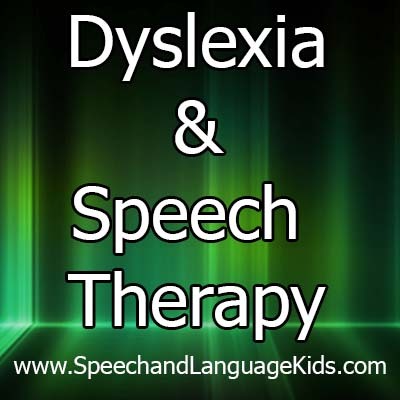 How Does Speech Therapy Help Students with Dyslexia? As speech-language pathologists, we have extensive training and knowledge about phonological skills. Many students with speech sound errors have phonological errors. This means they have trouble understanding which sounds should be put together to form words. They may use phonological processes where they replace one class of sounds with another (such as replacing all long sounds like “s” with short sounds like “t”). These same children with phonological speech errors may have phonological reading problems as well (a.k.a. dyslexia). 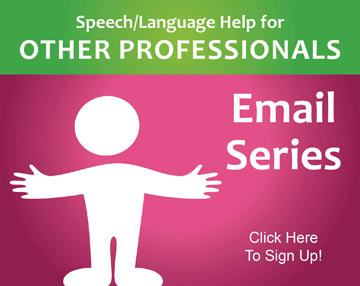 For more information about phonological processes (speech errors), click here! That means that speech therapists should be an integral part of a student’s reading intervention team, even if the child is only having difficulty with reading and not speech. We can help these students improve their overall phonological systems and understand how sounds go together to make words. Also, some children with dyslexia also have language learning problems which should be addressed by a speech therapist as well. Speech Sound Errors/Skills: Is the child using any phonological processes in his speech? Phonological Awareness Skills: How does the child do with phonological awareness tasks like rhyming, segmenting, blending, etc.? Overall Language Skills: How does the child score on expressive and receptive language tests? Based on the results of this evaluation, therapy should be provided to address the areas with concerns. No one area should be targeted first but rather all areas should be addressed in therapy together to help the child make changes to his entire phonological system. However, if a student is unable to focus on multiple tasks at once, the most severe limitations should be addressed first with other skills be added as possible. A child who is having trouble with speech sounds due to phonological problems will have trouble with entire groups of sounds. You will see patterns in the child’s speech. For example, all long sounds (sounds that can be held out like “s”) may be replaced with shorter sounds (like “t”). Or, all sounds at the ends or beginnings of words will be deleted. A child may have just one phonological process (sound error pattern) or she may have many going on at one time. This can make a child’s speech very difficult to understand. It is normal for children to use certain phonological processes when they are very young (ending between the ages of 3-5 years) but if a child continues to use these patterns beyond the ages at which they should stop, he may have a phonological disorder. As you have read above, dyslexia is a problem that is typically caused by trouble with these underlying pre-reading skills. If a child has trouble with these skills, he will have trouble with decoding and spelling words. 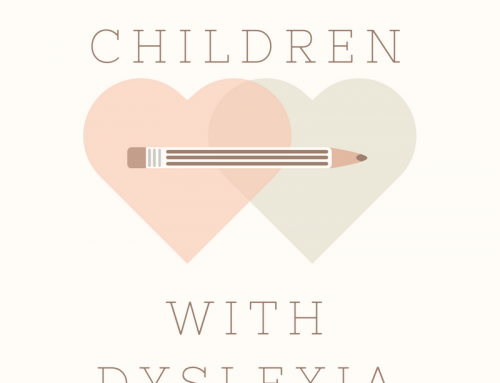 If a child with reading difficulties also scores low on expressive and receptive language tests, there may be other problems going on aside from dyslexia. 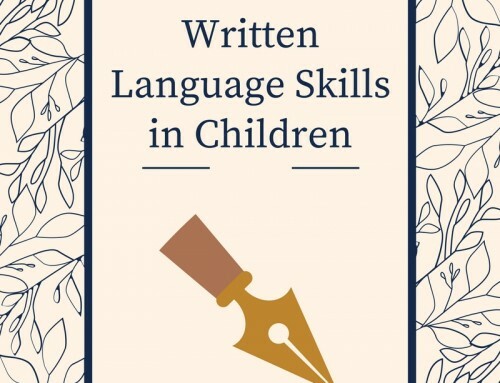 Other language problems, such as problems with comprehension or problems putting together grammatically correct sentences, should be addressed alongside phonological awareness therapy in order to help the child make the greatest gains possible. 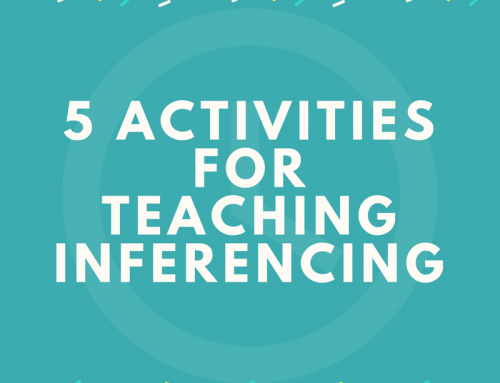 Get More Great Resources from Carrie! 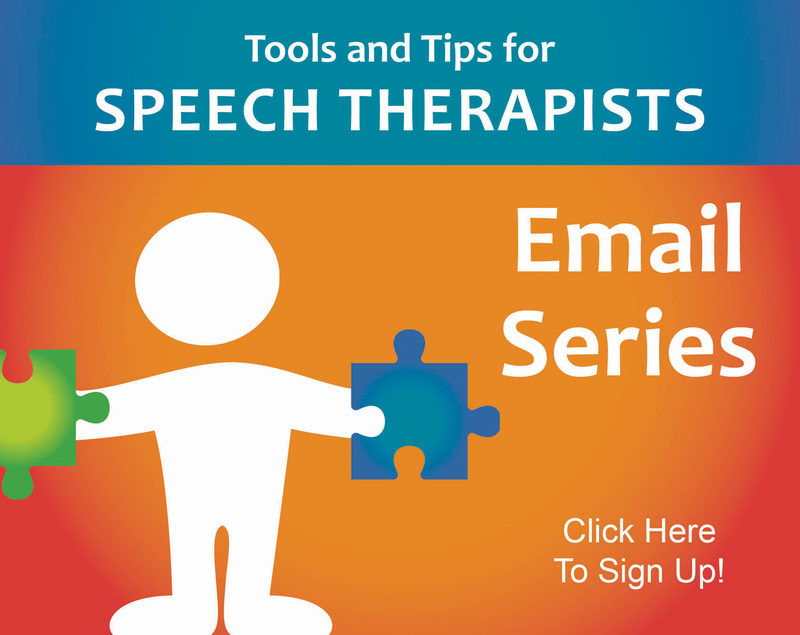 Speech Therapists Sign Up Here! Educators and Other Professionals Sign Up Here! Lyon, G. R., Shaywitz, S. E., & Shaywitz, B. A. (2003). Defining dyslexia, comorbidity, teachers’ knowledge of language and reading. Annals of Dyslexia, 53, 1‐14. Thank you for the helpful information you send me. I’m really interested in speech therapy. I work in a school and often struggle with when it’s appropriate to provide phonological focused services for a child with reading deficits who also has speech needs. I understand treating the specific speech concerns (e.g., speech sound errors) and I know phonological awareness is under our umbrella but do you still feel we should be involved in the reading focus when the child is in second grade or higher? My reason for asking is that I feel we may just add more cooks to the kitchen if reading teachers and specialists are already involved. Younger students (i.e., pre-k) generally don’t have reading teachers so I see how we can help there. I think that’s a question best answered by speaking with the IEP team at your school. Some schools don’t have reading specialists so it all falls on the SLP. Other schools have really good remedial reading programs in place so the SLP may just need to consult if it’s a kid with co-occurring phonology problems. It really depends on what supports are already in place. That’s great! I’m glad you’re enjoying the content! Hello! 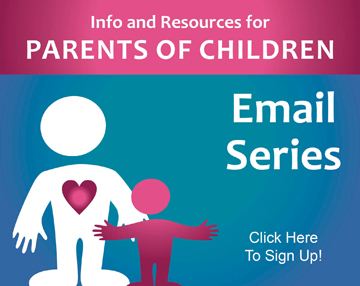 I have general resources on this site but if you’d like someone to tell you what your son needs specifically, you’ll need to contact a speech therapist in your location. Appreciated this article. My grandson is in a school system that is not meeting his needs regarding this. My grandson is miserable because he’s not getting the help he needs and my daughter is at her wits end. She works hard trying to help my grandson and encourage him and all the do is pull him down it is heart breaking.